Posted by Lacey Hagler on Friday, November 16th, 2018 at 2:43pm. Save The Date! On Saturday, December 1st, Jupiter’s Harbourside Place is generously hosting a Holiday Boat Parade Watch Party from the roof deck of this luxurious waterfront location. This exclusive event will run from 6:00PM until 9:00PM, and will include dinner and an open bar, with proceeds benefitting the AustinBlu Foundation. Tickets are $150 per person, and can be purchased at www.austinblufoundation.org/shop. Space for this popular event is limited, so purchase your ticket soon! 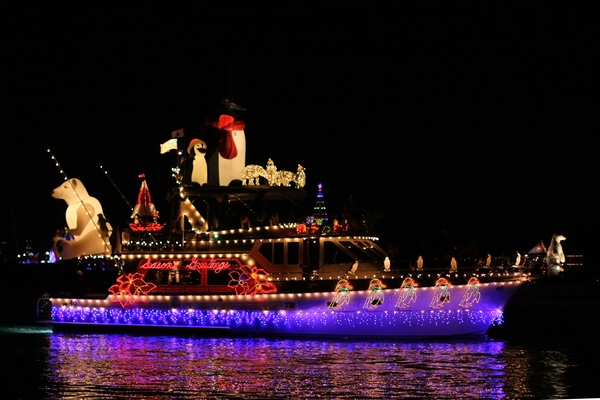 For more information about the 2018 Palm Beach Holiday Boat Parade, including highlights and bridge openings, GO HERE.